Long Beach State concluded a successful weekend at the Stanford Invitational Saturday afternoon. 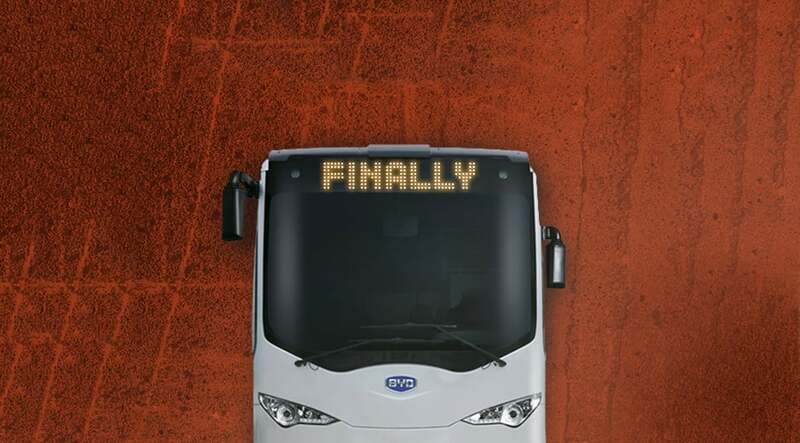 It seems, finally, the novela that (hopefully) was Long Beach Transit (LBT) obtaining electric buses for its fleet has come toward a more progressive end, as the Board of LBT formally approved staff’s recommendation to go through with BYD Motors as the purveyor of LBT’s electric buses. The April 27 LBT Board meeting resulted in five votes in favor for BYD Motors, the company involved in their second bid to procure zero-emission buses (ZEBs) for LBT against South Carolina-based Proterra and Canadian bus manufacturer New Flyer (who has two factories in Minnesota). Their bid for $9.675M was granted because it was deemed “the most responsive and responsible” by LBT staff, as well as the cheapest. This cost will be in addition to the $926.5K inductive charging system to be set up at the Queen Mary stop and a $467.4K contingency fund for any “additional technical requirements or unanticipated modifications[. ]” This makes the total the staff requested and received stand at $11.07M. That means 10 guaranteed buses come Summer 2016, with an option for 14 more. I say this because I don’t want many (including myself, a vehement opponent against BYD’s initial bid in 2013) to dilute what is an essential reality: eventually, we have to all go electric, especially in transit. Even further, we have a tendency to immediately feel positive about things that we call “green”–a point made in a New York Times article by University of Manchester Professor Kevin Anderson, who flat-out called natural gas a “very bad fuel” with “very high emissions indeed.” And this stirs fears that we end up, like diesel, dependent upon natural gas rather than actually substituting it. This isn’t to mention that CNG also has a higher fuel consumption rate than diesel, an inept fuel performance rate, and a cost that doesn’t seem to outweigh the benefit (if we are talking environmentally). And, of course and perhaps most importantly, there is the future. To use an all-too-common phrase used today, we want history on our side–and that, at least to lil’ ol’ me, most certainly includes the planet, probably the most important of all. This, however, isn’t to ignore the past, especially when it comes to the relationship between BYD Motors and LBT. Or maybe, she just didn’t care by this point. Either way, speculation is just that—and the one thing we no longer have to speculate on is whether we’ll be getting ZEB on our routes (which is an unbelievably awesome thing). Disclosure: the opinions expressed in this piece are exclusively that of its author, Mr. Addison.